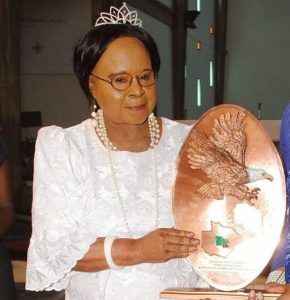 GENDER minister Elizabeth Phiri has implored women movements to emulate late Mama Chibesakunda Kankasa’s legacy and assertiveness in advocating for the rights of women and girls. Phiri said Mama Kankasa’s legacy of liberating Zambia and advocating for the rights of women and girls will forever be remembered. The minister said Mama Kankasa, who saved as Minister for women affairs between 1969 and 1988, advocated for expanded women’s rights like paid for maternity leave, a policy that has continued until today. Phiri added that Mama Kankasa, who died in South Africa on Monday, championed gender equality by ensuring that women and men were given equal opportunities in decision-making positions. She noted that the stateswoman’s attitude towards upholding the rights of women and girls had no political inclination and that it should serve as a lesson to all women in decision-making positions. And Phiri noted that Mama Kankasa was a champion for peace during elections as she denounced violence, especially involving women and the youth. Mama Kankasa will be buried tomorrow, Saturday at the memorial park in Lusaka.